We’ve officially entered February, which means Valentine’s Day is less than two weeks away. 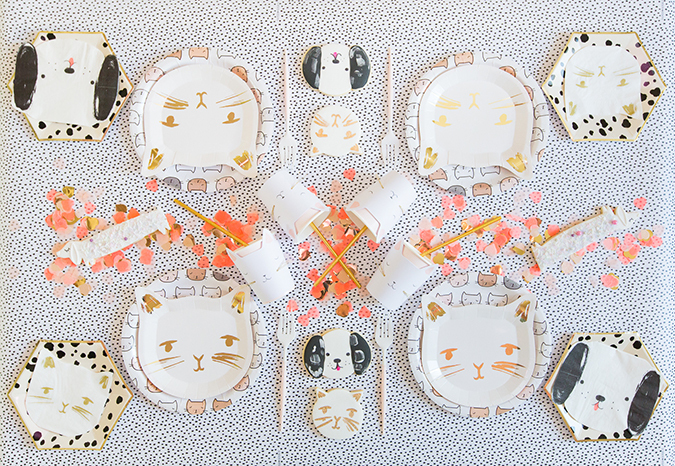 And if you have little ones to celebrate with, they are probably getting pretty excited right about now. 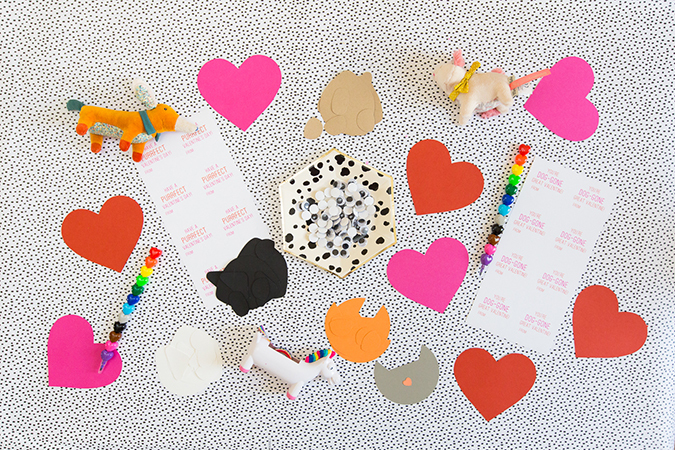 Since kids’ parties are some of our favorite gatherings to plan, we wanted to provide some party inspiration to help you celebrate with your tiny Valentine. 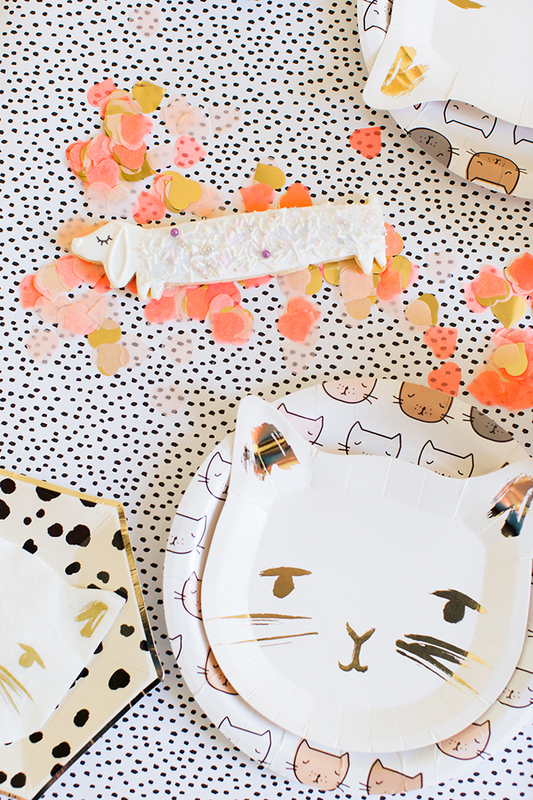 This adorable puppy and kitty party comes to you courtesy of our gals Rachel of Bonjour Fête and Royale of But First, Party! (you might remember them from this Candyland Christmas soiree). 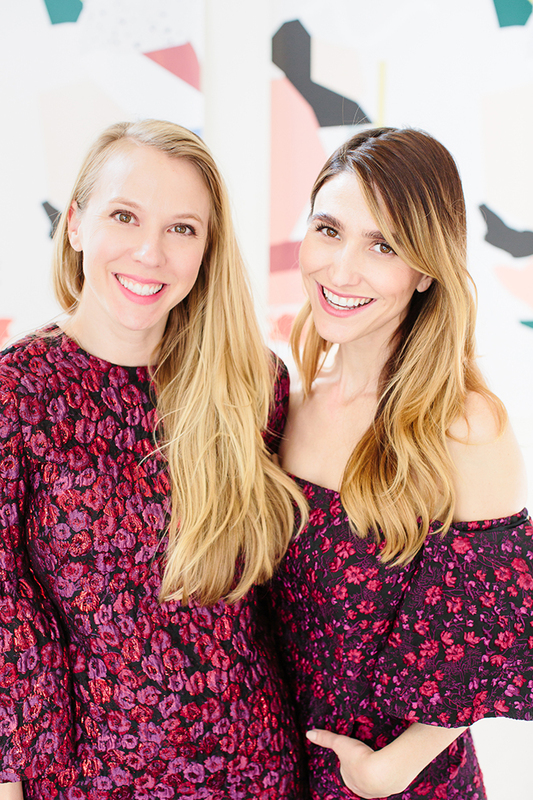 We’ll hand it off to Rachel and Royale from here, who will tell you all of the details! Hi everyone! It’s Rachel and Royale here. 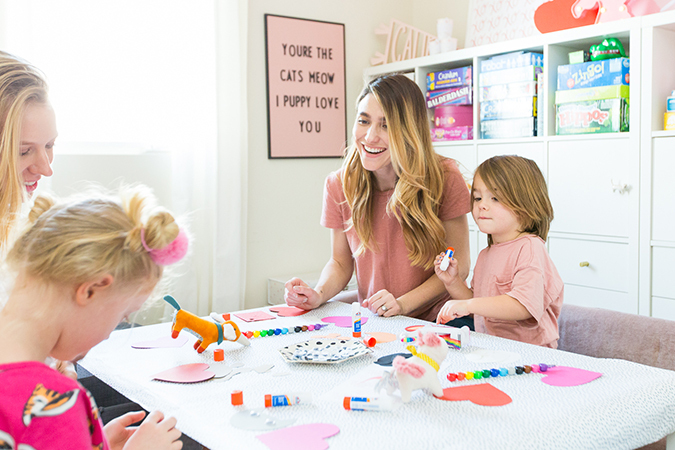 We’re excited to share the steps and supplies we used to put together this fun and festive afternoon. 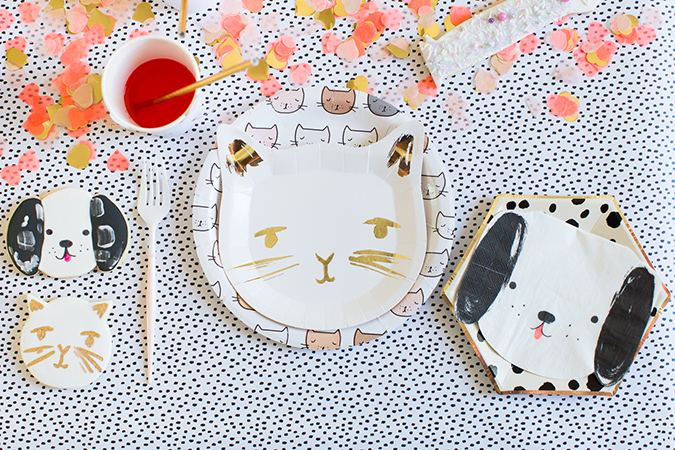 The inspiration for our mommy-and-me Valentine-making party came from these doggone purrfect puppy and kitty plates from Meri Meri! They’re brand new and when Rachel got them into Bonjour Fête, we immediately knew we had to adopt this theme! 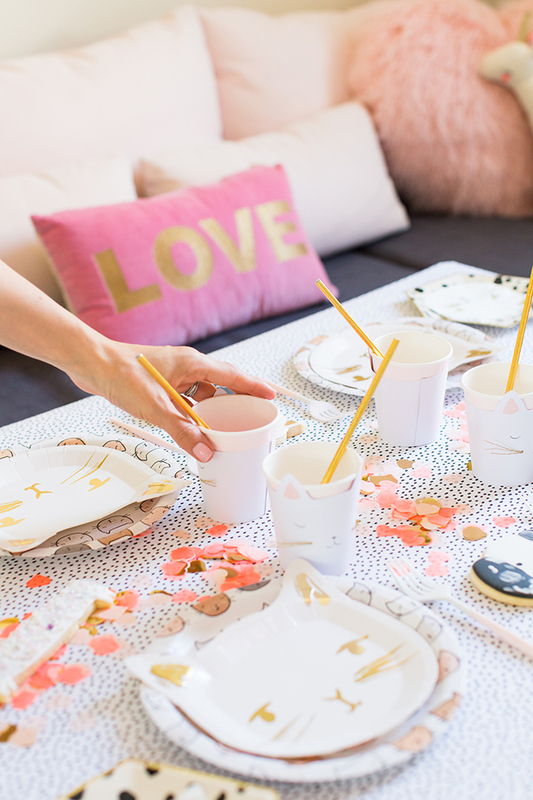 For the kid’s table, we wanted to keep the palette more monochromatic with pops of peach, from the heart confetti and gold, with the straws and other detailing on the paper party ware. 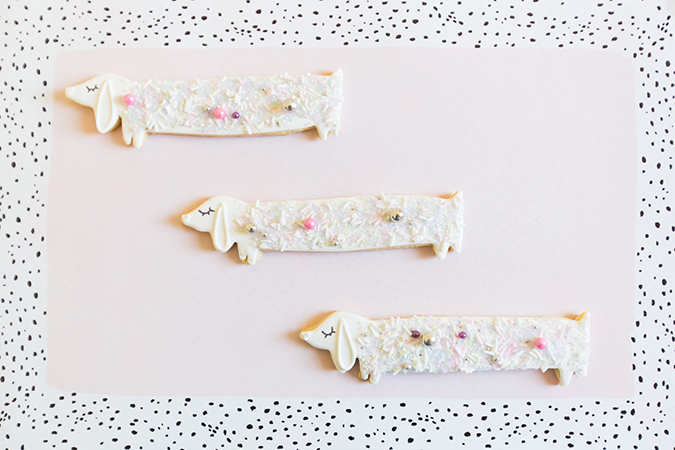 We also looked to our gal Amy to create royal icing sugar cookies in the likeness of the plates, as well as a couple of insanely adorable Dachshund cookies—because, let’s face it, we’ve been wanting to get our hands on some for a longgggg time! After the kiddos enjoyed their cookies and juice, we set up the crafting station. 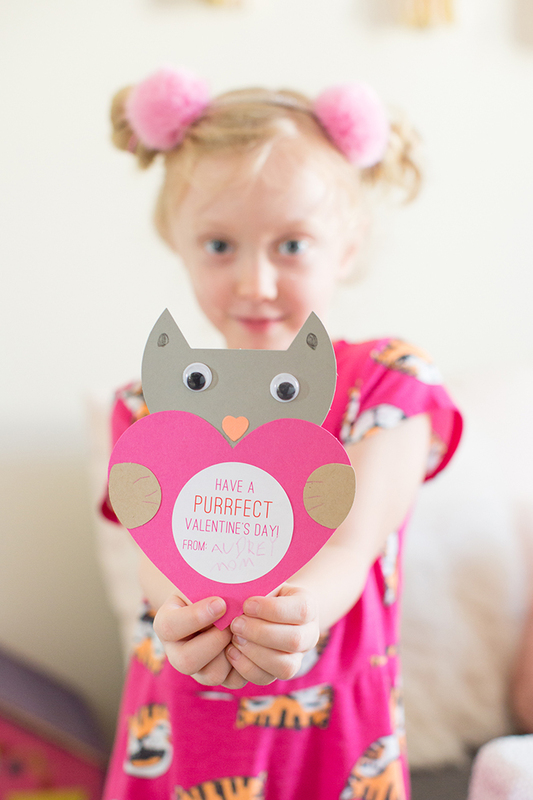 We picked up this sweet Puppies & Kittens Valentine Craft Kit and got to work on our cards. They turned out so cute and left us mamas all googley-eyed! 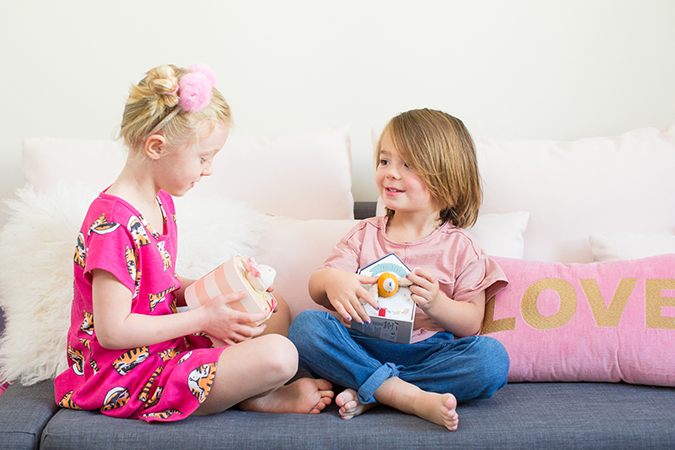 Our favorite moment, though, was definitely when Audrey and Stellan exchanged their Valentine gifts—the most precious stuffies, Juliette the Cat and Philibert the Hound. 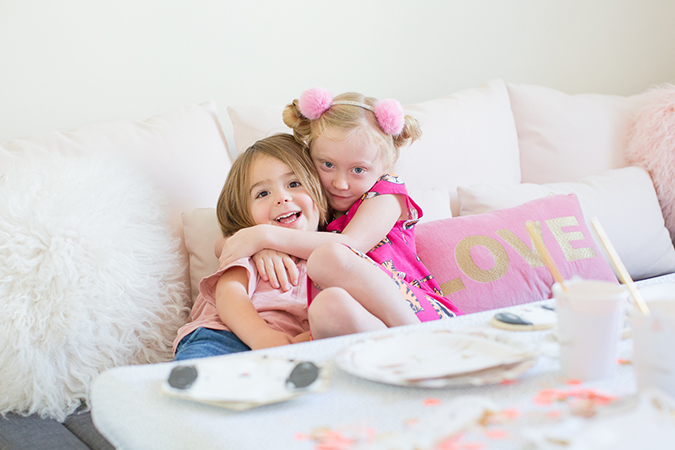 Are you planning a Valentine’s Day party for your kiddos? We hope you have a pawesome Valentine’s Day! 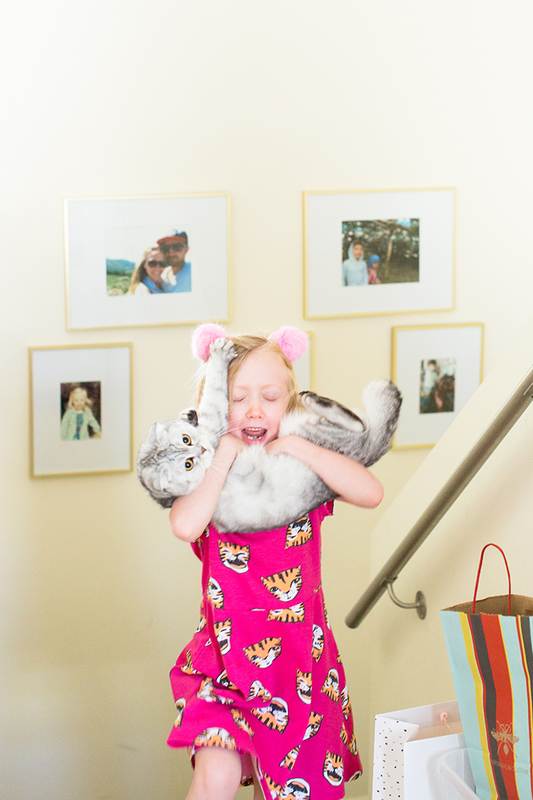 Styling: Royale Ziegler of But First, Party!